This ceramic counter top basin is oval in shape and designed for work top installation. 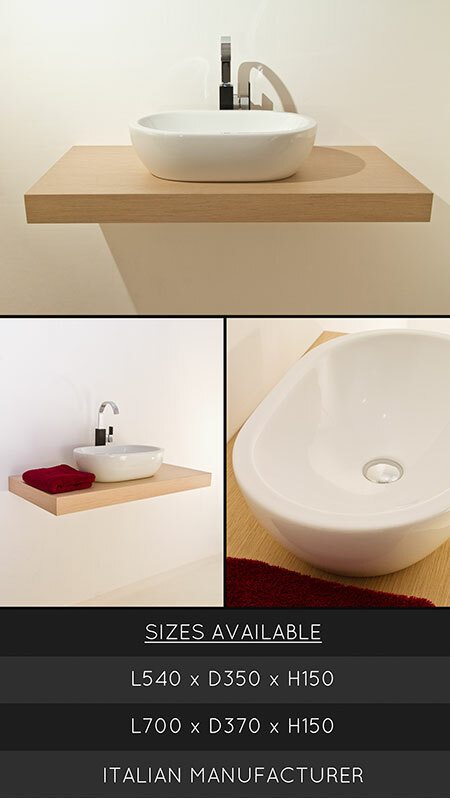 Each oval basin has a deep washing area and is designed in the latest contemporary styling. * Made of glazed ceramic.